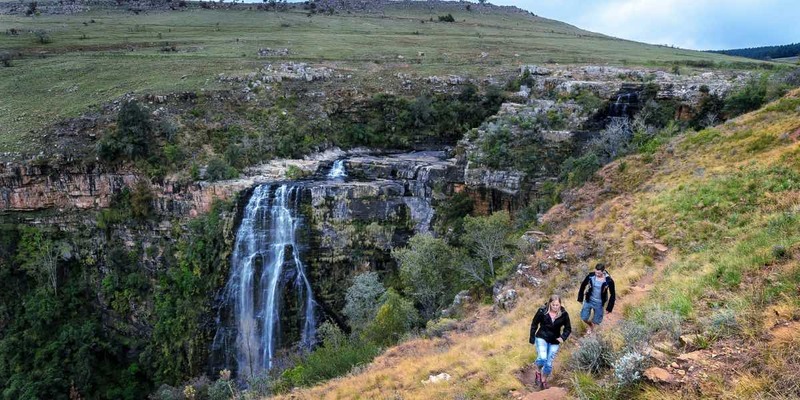 The Panorama Route is famed for its abundance of waterfalls, of which the Lisbon Falls are the highlight. 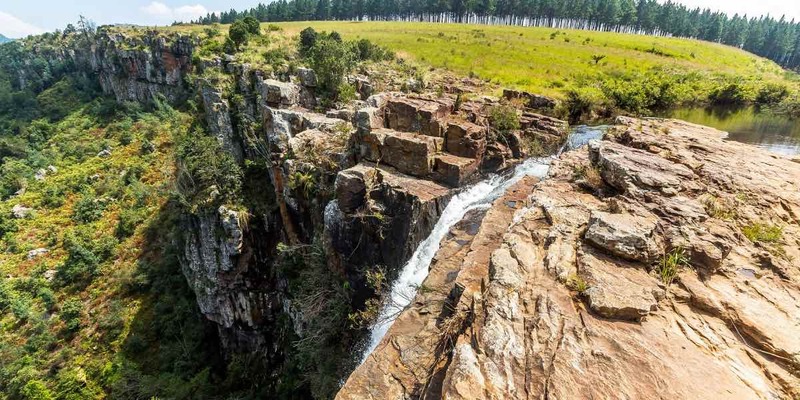 One of the most dramatic waterfalls in South Africa won’t disappoint as it sends water plunging down 94 metres in two distinct streams from the cliff-top as it plummets into Lisbon Creek. Located just outside of the forestry town of Graskop, the site provides beautifully shaded picnic spots from where visitors are able to catch their breath after all the breathtaking scenery along the Panorama Route. The Lisbon Falls are named after the Capital city of Portugal, as was a farm in the region too. 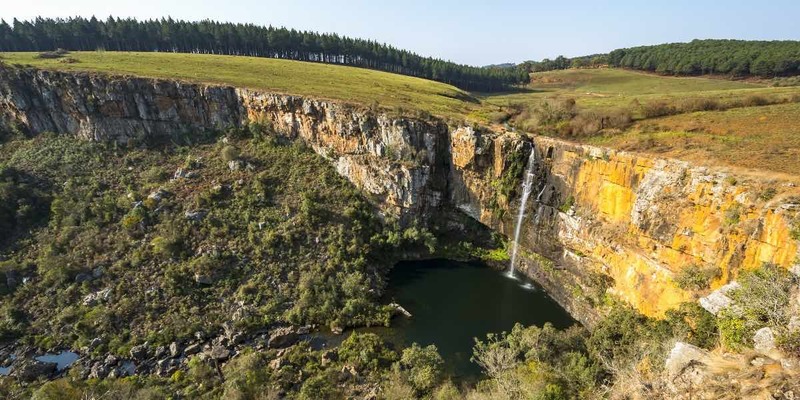 Towering 80 metres above the circular pool below, the candle-shaped Berlin Falls are another of the Panorama Route’s must-see natural wonders. Situated near to God’s Window, the red rock of the cliffs, green waters of the valley pool and white froth of the waterfall itself are a colourful delight on the eyes. 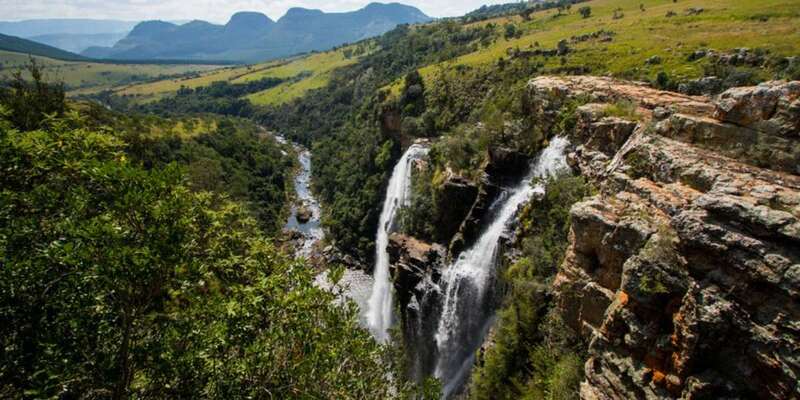 Picnic spots at the site offer a base from which visitors can search for the Blyde River Protea, spot a large number of bird-life or simply enjoy the sound of the plunging water of the falls.